Traditionally viewed as a geek’s paradise, the Computex trade show will turn into a battlefield for the body next week. 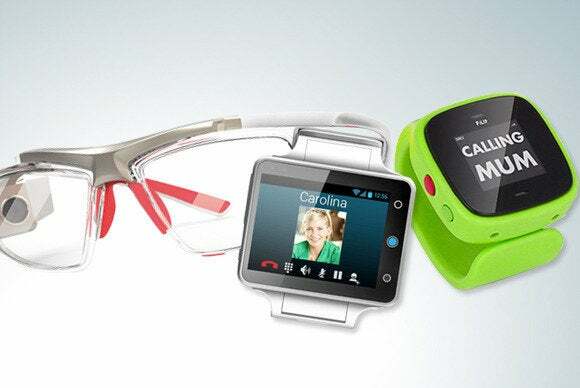 An entire pavilion will be dedicated to little-known device makers showing off the latest smartwatches, smartglasses, wristbands, health monitors and tech-friendly clothing, with a sprinkling of cloud-based services for wearables expected to dot the floor. Wearables are the next big thing in technology and Computex, Asia’s largest electronics show, is a way for many small Chinese and Taiwanese companies to show off their wares. Little-known Asian companies are already driving smartphone and tablet prices down, and are poised to do the same in wearables, said Paul Gray, director at NPD DisplaySearch. The Computex trade show kicks off next Tuesday in Taiwan. Inevitably, wearables euphoria will eventually cool down, with many vendors in the currently crowded market going out of business or being acquired, while a minority will survive and thrive, he said. “You’ll see lots of people disappointed and a few emerge,” Gray said. But for now, the wearables gold rush will be in full display this year at Computex, which although not as big as in years past, will remain an unabashed delight for techies. Emerging tablet, PC and chip trends will also be in the spotlight, and the latest in display, motherboard and peripheral technologies for PCs and mobile devices will be demonstrated. Low-cost tablets will take center stage and unique Windows laptop designs will also be on tap. Asustek and Dell plan to announce new tablets, while Acer CEO Jason Chen has talked about plans to launch cloud offerings and mobile products at the show. PC makers are trying to combine laptop and tablet functionality into one device, so many such hybrids will be shown. In the coming weeks, some PC makers are also expected to announce low-cost tablets and PCs with Microsoft’s new Windows 8.1 with Bing, a low-cost version of the OS. Some related hardware could be shown at Computex. Microsoft and Google have not warmed up to the idea of dual-boot Windows and Android PCs, but some smaller vendors may have the audacity to show such devices. Small Chinese tablet makers showed dual-boot tablets at the International CES, and could do the same at Computex. Unlike previous years, Intel has no plans to make big chip announcements. But the company will share details about a new Atom tablet chip called Cherry Trail, the successor to Bay Trail chips used in Windows tablets costing between $200 to $400. It will also talk about the SoFIA chip, its first tablet chip with an integrated 3G modem. Intel had promised that 64-bit Android tablets with its chips would be available early this year and those may finally show up at Computex. But Google has not yet released a 64-bit version of the OS and Intel has not finished testing a 64-bit version of Android 4.4, code-named KitKat. Intel also plans to show off its first reference PC with a fifth-generation Core processor code-named Broadwell, which will appear in computers starting in the second half of this year. But the chip maker won’t talk extensively about Broadwell, which has already been delayed multiple times. AMD will also announce Kaveri mobile chips next week as it tries to chase Intel’s Haswell chips in laptops. The first motherboards with support for the faster and more power-efficient DDR4 memory will also show up. Gaming rigs and servers with DDR4 memory are expected to become available in the second half this year. Regarding peripherals, the first USB 3.1 cables may be shown, while some Thunderbolt surprises may be in store. Last year, Intel showed off a 128GB Thunderbolt flash drive, the first of its kind, but the device hasn’t yet been released. Intel for years has been trying to push wireless charging with its PCs and is expected to shed more light on the technology. XYZPrinting, which sells the $499 Da Vinci 3D printer, will be one of the big-name 3D printing companies at the show. About 130,000 attendees are expected, with 1,700 exhibitors at the show. Computex is organized by Taiwan External Trade Development Council and the Taiwan Computer Association.